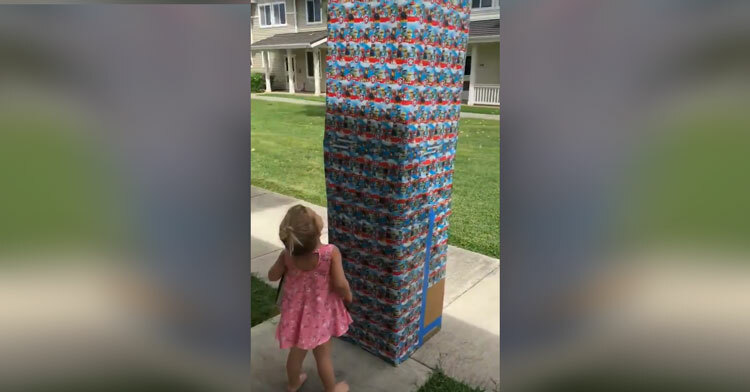 Girl Thinks Present From Deployed Dad Is “Cookies,” Finds Way Better Surprise Inside. 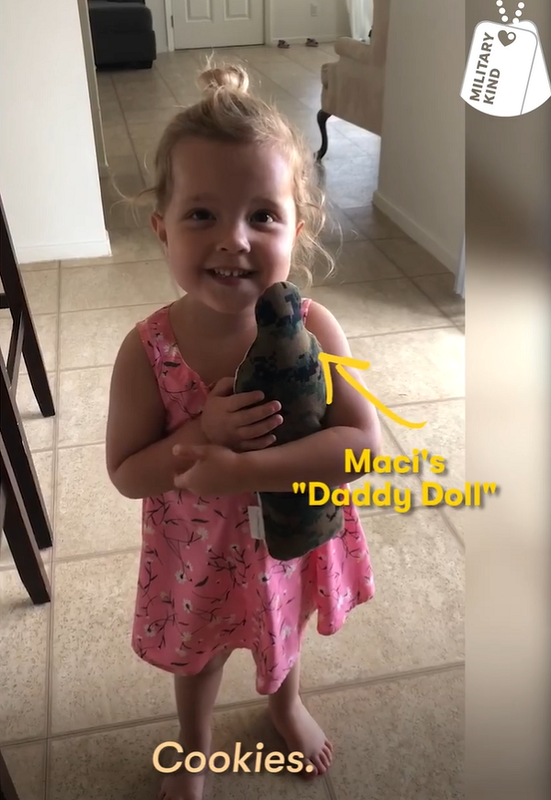 A little girl named Maci was missing her dad, who is a Marine, so much, she actually got a “daddy doll” with his picture on it to carry around in his absence. 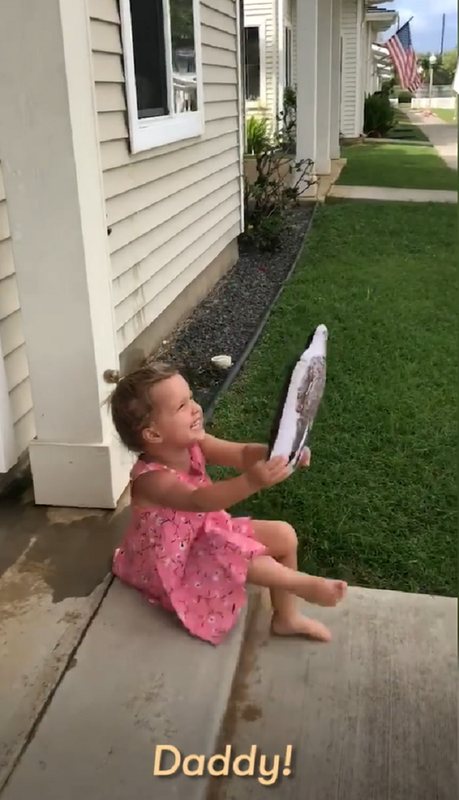 Every day Maci carried the doll with her everywhere, sleeping with it at night and cuddling with it whenever she felt lonely while he was deployed. 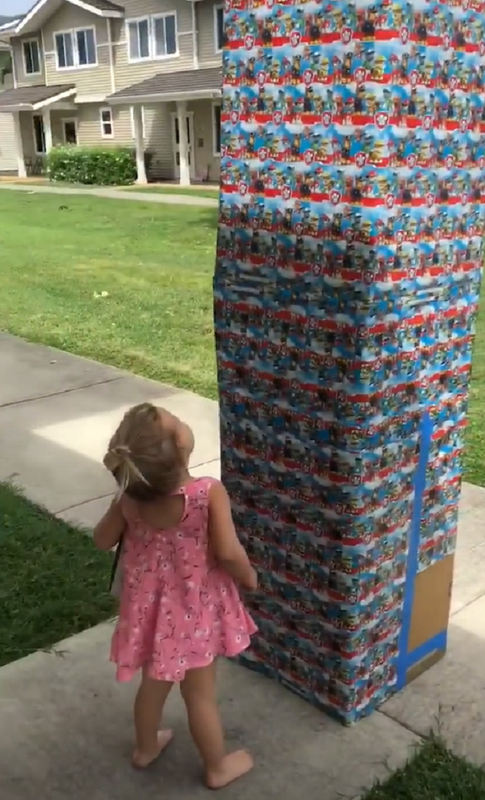 One day, Maci’s mom told her that daddy had sent her a big surprise. Being a child, naturally Maci hoped that the surprise would involve one of her favorite things: cookies. Little did she know, the gift was something way better! “That’s a big box for cookies!” Maci’s mom says off-camera. Maci begins to pull at the wrapping paper until mom shows her the perfect spot to open the gift. She pulls off the paper and gives the box a gentle knock, waiting to see what would happen. Suddenly Maci’s dad pokes his head out of the box, and she’s so surprised and excited, it knocks her right back onto her behind! “Daddy! Daddy! Daddy!” she squeals in delight, kicking her little feet and holding up her daddy doll. She’s so thrilled that she can barely contain herself! Thankfully her dad doesn’t hesitate to shuffle out of the big box and step forward to take his little girl in his arms. Have you ever seen a cuter reunion? This little girl has been pining for her dad for so long, but when he’s actually right in front of her she’s so overwhelmed she can’t do anything except shout his name and kick her legs with glee. We’d say she’s the real doll here. 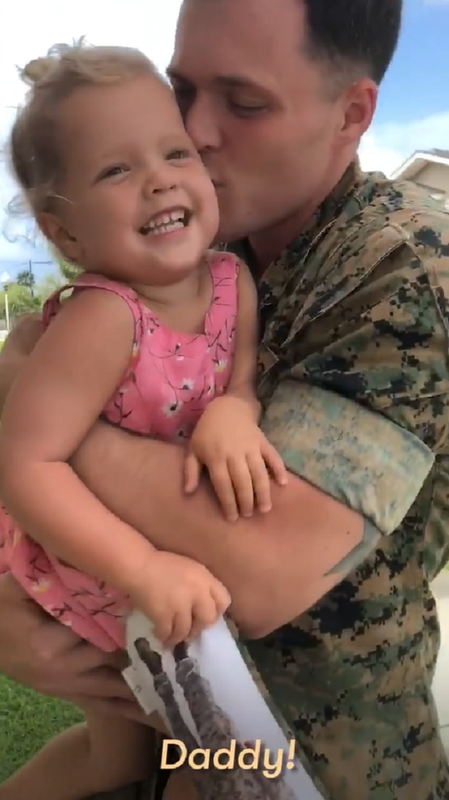 Watch Maci welcoming her dad home in the video below, and please share this beautiful reunion with others.